We didn’t have a Christmas tree fight this year – We left Hubby at home. We left him at home sorting thru the Christmas lights. Never fear though, we had a Christmas tree lights fight instead. It may not be “green” but I think that tree lights should just expire after one use – some of ours were going on 20 years old. Looking for a place to hide a Christmas present fast? 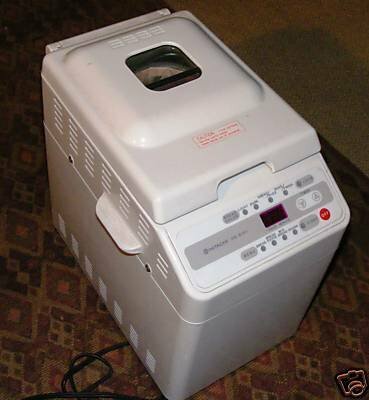 Remember the bread machine that you got for Christmas – the one you’ve never used? Granted it does make you look very domestic while it sits on the kitchen counter. Just open the top and hide the gift inside the machine. 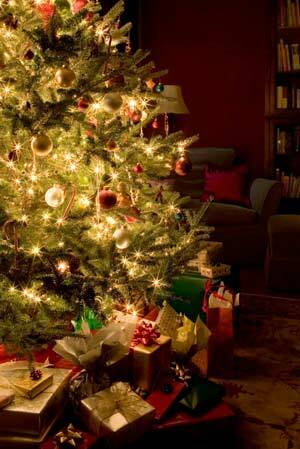 You might want to make a list of those crazy hiding places – just in case you forget where you cleverly hid that gift. This is also an excellent place to hide those bags of Rollo’s that you just smuggled into the house for your special Rolo Brownie recipe. Are you hoping that I’ll share that too? Don’t let them bake too long. Remove from oven and push one Rolo candy into each brownie – the smaller side down. Once these are cool a great hiding place is inside your bread machine. Feel free to let people think you slaved for hours making these – I do! Never before at Christmas time have I ever had the gifts wrapped before midnight on Christmas morning. Often hubby and I were both bleary-eyed when our three boys woke up to open presents. Where is the coffee? This afternoon my youngest went out with one of his brothers and I had over six hours to my self. I thought I could clean the tub and take a hot bath without expecting someone to come bursting to ask if I had seen this or that. And then, I heard an angel chorus….I could get all the Christmas presents wrapped! I could even use the big table and not have to hide in our bedroom. I wouldn’t have to lean over the bed, wrapping on top of the comforter; having to be careful not to cut fabric when I cut the wrapping paper. Five hours later, I had everything wrapped…including the skooter….buried behind the tree. Stocking stuffers are in five separate bags, ready to go when my family is down for the night. I have a new bottle of cough syrup to go in my stocking. The kitty treats and toys are in their own gift bags. When hubby got home from work and the boys returned from the movies we had bowls of Superbowl Soup (shameless plug for past post) and corn bread. I still haven’t asked what movie they saw, (maybe I don’t want to know) while enjoyed two more hours of wrapping in peace. This evening I walked past the tree. There, hiding underneath was AJ, with her face buried in her gift bag. Even she can’t wait for Christmas. I was looking for a new recipe for dessert this Thanksgiving. I came across this one, which I have tweaked a bit. 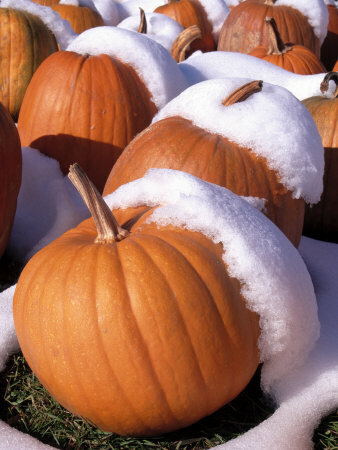 Prepare the pumpkin according to label instructions, using only one can of evaporated milk. I also used only 1 cup sugar as the cake mix is very sweet. Pour the pumpkin mixture into a greased 13 x 9 pan. I recommend using Baker’s Joy or similar product. Sprinkle the dry cake mix evenly over the top of the pumpkin mixture, then carefully drizzle the melted butter over the cake mix. You can sprinkle with 1 cup chopped nuts if you wish, but our extended family is crazy enough already. Bake at 325 for 1 1/4 to 1 1/2 hours. When completely cooled top servings with real whipped cream. Refrigerate any leftovers….what leftovers? When I serve this, I will warm it up slightly, I think it is better slightly warmed. This is one of those recipes that you find on the back of the box of sugar. 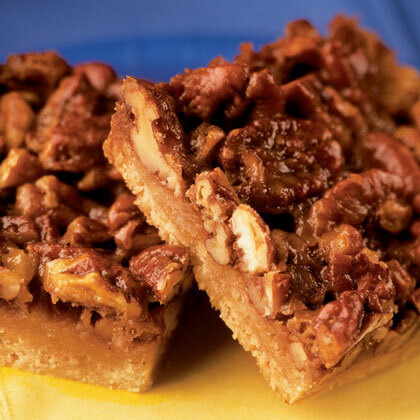 Since it is nearly Thanksgiving in the States, I thought it was time for another great recipe with pecans. I’m the only one who likes pecans in my family so I’m glad these freeze well. Grease 8 x 8 x 2 inch baking dish. In medium bowl, beat sugar and shortening until fluffy. Beat in egg and vanilla. Combine flour, baking powder and salt; stir into mixture. Stir in nuts. Spread batter in baking dish. Bake 25 minutes. Cut into 2×1 inch bars. Makes 2 1/2 dozen. Make a fresh pot of coffee – I’ll be right over! Thanks to Family Fun Magazine for the photo and C & H Pure cane sugar for the recipe. I think that Hallmark is missing out on a HUGE profit market here. A whole line of greeting cards for narcissists. After I thought about it though, I remembered that the N didn’t want any celebration for his birthday. Celebrating a birthday or holiday made the N less than superior to the rest of us humans. Seriously. Read Vanikin’s take on this subject.